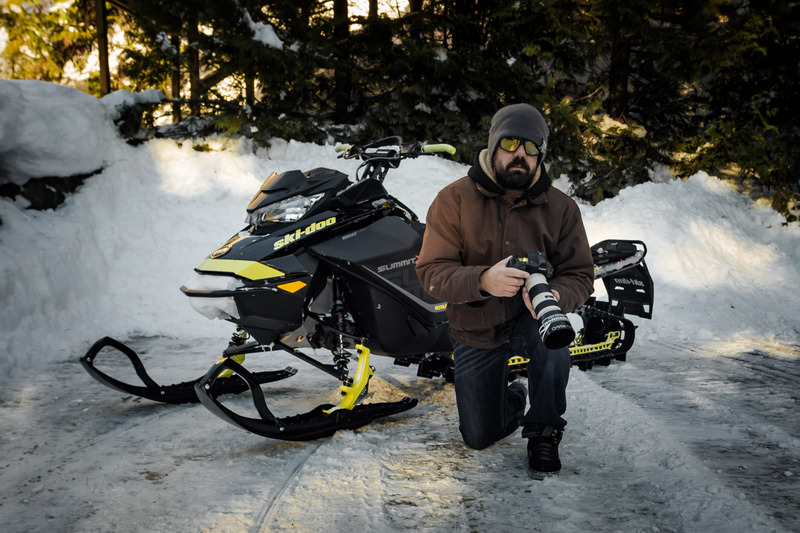 Matthew Mallory owns and operates JoyDigger, the face of freeride snowmobiling. It was one of the first places where I was published; Matthew’s done a ton to encourage me, both on the editorial side, and on the photo side. He kicks out some great content, and is an all-around good dude. So, read a little about him, then jump over to www.JoyDigger.com and check out his work! 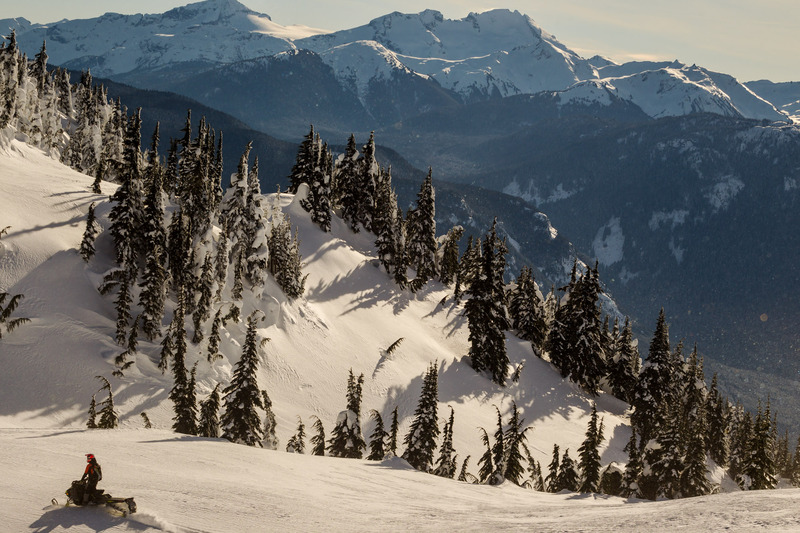 Hometown: Born and raised in Wooler, Ontario, for the past fifteen years I’ve called Whistler, British Columbia home. What Pays for Your Sledding Addiction: I work for our local transit system as well as some freelance writing and photography. Favorite Sled: My 2017 Ski-Doo Gen4 850! Favorite Mod (this year): It’s a toss-up between the Cheetah Factory Racing 5” Knucks Risers/Boondocker 2.0 Bar and the Munster Finger Throttle (absolutely incredible try one). If you looked back, over your entire life and picked one day where you could point and say, “yeah, that’s what got me hooked on riding”, what would it be? I haven’t been riding that long but I guess it’d be my first day on a mountain sled in January of 2010. 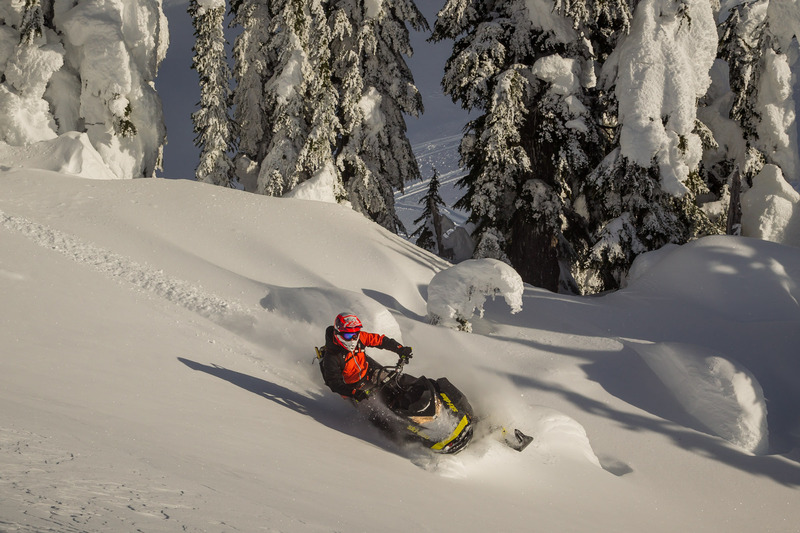 I had bought an old ’04 MXZ Renegade, struggled in deep pow and trees, got stuck everywhere, couldn’t ride to save my life but I did manage to get one maybe two pow turns in and was gone, I’ve been gaga over backcountry/freeride, mountain sledding ever since. What SLEDDING accomplishment are you most proud of? I honestly don’t know, just going out and having fun with friends in one of the most beautiful places in the world really. That’s the most important part of it all right? On the mountain, what has been the scariest moment you’ve had while riding? I actually haven’t really had any truly scary moments sledding. I’ve never triggered a slide and have never had a terrible injury while on the sled nor been riding in a group that has. What are the top 5 destinations on your bucket list? Japan, Russia, Revelstoke, Chile. I know that’s only four but I don’t really have a bucket list of destinations. We are really spoiled here in Whistler, the riding is endless, we have individual areas that are larger than most places and we have 10 or more of these zones. It’s crazy how vast it is with everything from the best tree riding you’ll ever find to awesome big mountain terrain and a pretty stable snowpack compared to a lot of sledding destinations. Give me some snow, a sled and friends and I’ll be happy almost anywhere. My favourite destinations would be wherever my friends and snow are. If you could ride with any three people, who would it be? Well I’ve been lucky enough to ride and shoot with some of the raddest, most badass shredders in the sport, Chris Brown, Kalle “KJ” Johansson, Christian Gagnon, Julie-Anne Chapman, Tyler Blair, Jorli Ricker and a host of other not as well known rippers. I guess if I were to pick three it would be Dan Gardiner, Matt Entz and Rob Hoff. It would be awesome to not just ride with them but to shoot them since I enjoy snapping sled photos as much as I enjoy riding. What do you see as the biggest obstacle for new/young riders looking to get into the sport? The biggest problem getting new/young riders into the sport is accessibility. 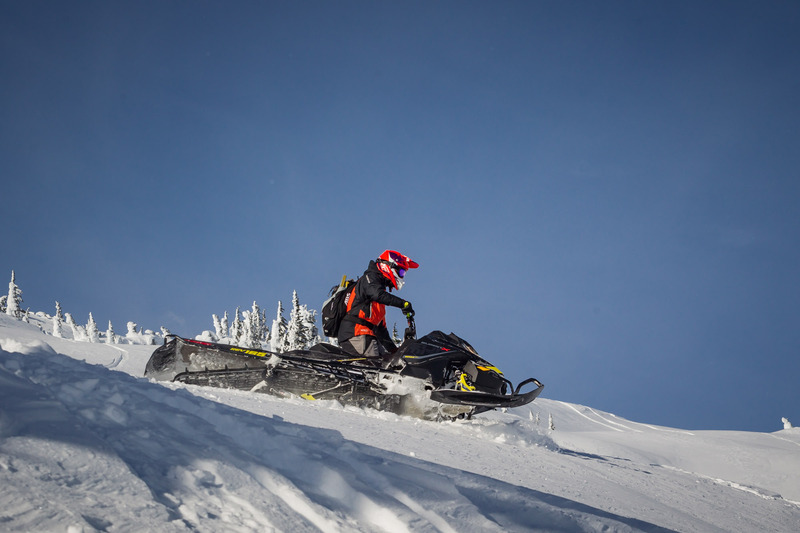 Taking up sledding from scratch is an expensive endeavour: truck, sled, clothing, avalanche gear, it all adds up. Not to mention, that at least on the mountain side, you need to fall in with a group that is willing to mentor you not just in riding, but in mountain travel and safety. 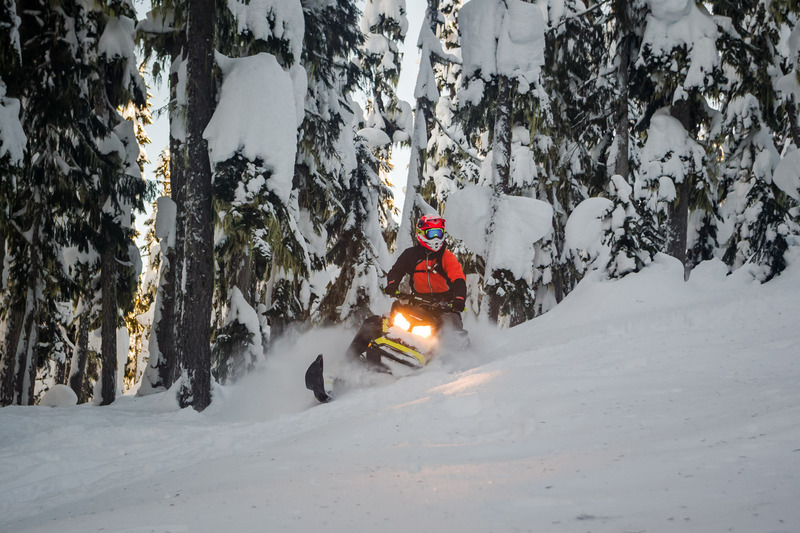 Think about how difficult it is for someone who is green, just loading the sled can be a challenge when you have no experience riding one. As well, I feel the existing marketing is limiting the sport; it seems most of it is driven towards people who already ride. Let’s face it, if you grow up in a sledding family the odds are pretty good that you will become a sledder. Do we really need to be marketing to this segment? If we want to grow the sport we need to be going after the people who don’t ride. In this way we could do a lot as an industry and as riders to make the sport more attractive, showcase the soul side of the sport, shredding pow turns, days out in fresh air and the most incredible terrain that is just mind blowing. How often do you mentor someone in the sport, either to make them a better rider, or maybe grow their audience? Give an example of one that you’re proud of. I’ve done a lot of interviews and written profiles about riders for www.joydigger.com, SnoRiders Magazine and Mountain Sledder Magazine. One of the goals with starting joydigger.com was to promote riders in the backcountry/freeride side of the sport. I’ve also had the opportunity to help out several riders with a few tips here and there. One of the coolest days was hanging with three friends from Washington and spending an afternoon teaching them to ride wrong foot forward. They had a great attitude and it was awesome to see their determination and progress from being hesitant to confidently stomping on the running board and angling up a sidehill. Where do you see the sport in 10 years? What do the machines look like? Has it grown or shrunk? Which ‘group’ dominates the market? 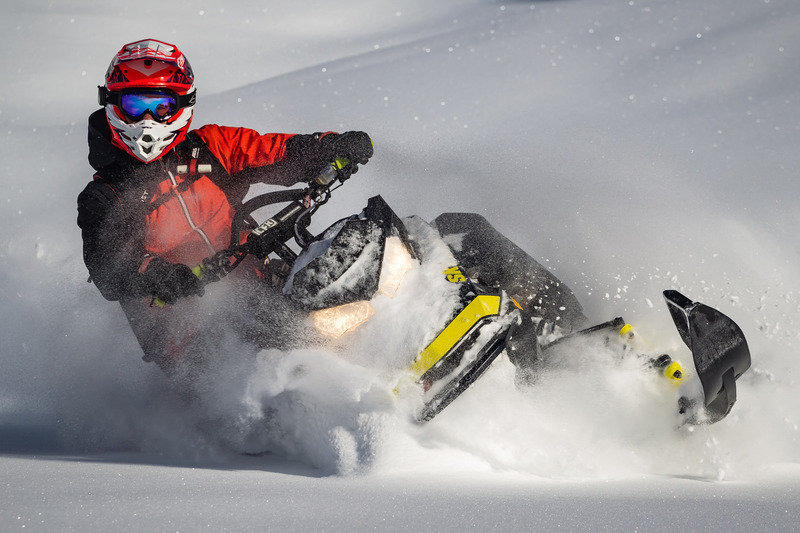 Sleds will continue to get lighter and more performance oriented while 2 stroke technology improves, making for longer lasting, fuel efficient and more powerful engines. I’ve been watching a lot of stuff on Elon Musk/Tesla and it’d be cool if we could start moving toward an electric sled; the potential for a lighter and incredibly powerful engine, I think, lies there along with the reduction in noise and emissions but I’m sure that’s more than ten years away.